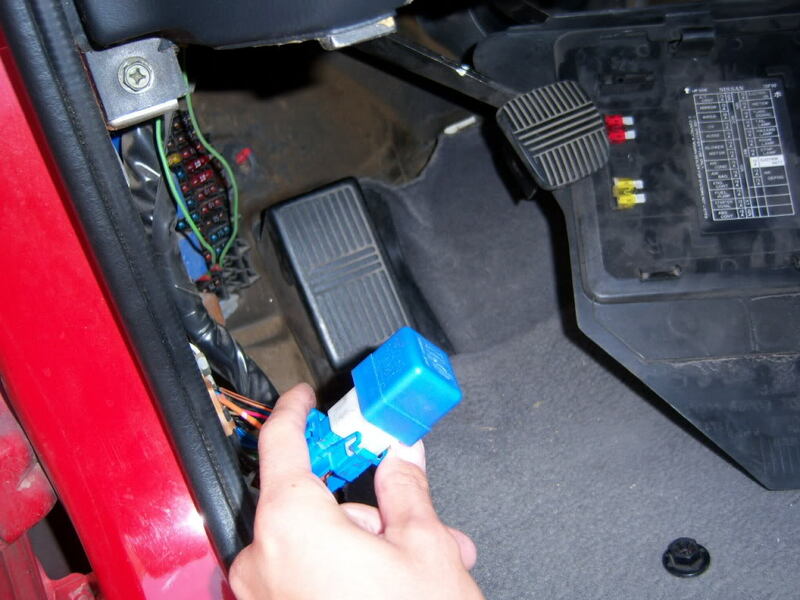 240sx Tech: How to isolate your fog light switch on your S14! 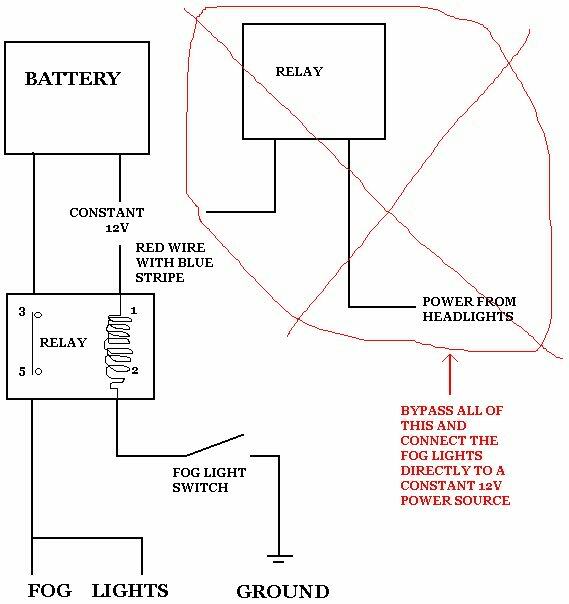 As many of you s14 guys with factory fog lights know, the stock circuit allows you to only turn your fog lights on when your headlights are on. The fogs also automatically turn off when the high beams are on. Some of us want to turn the fog lights on by themselves when it is dusk/dawn and plus it looks cool! 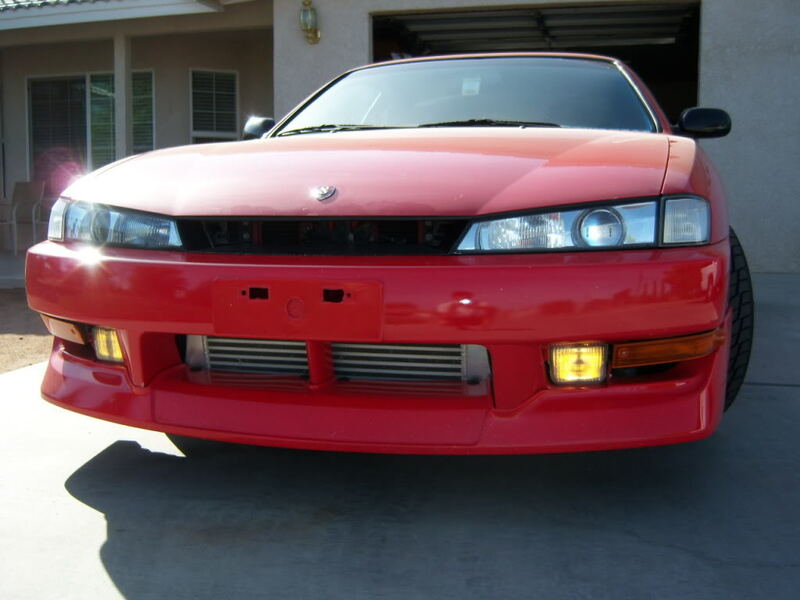 This write-up will tell you how to have your fog lights on by themselves using the factory fog light switch on s14’s. Looking at the factory wiring diagram, I figured out a simple way to make this work. Like the picture says, we are going to a constant supply of 12v power to the fog lights regardless of the headlight switch being on or off. 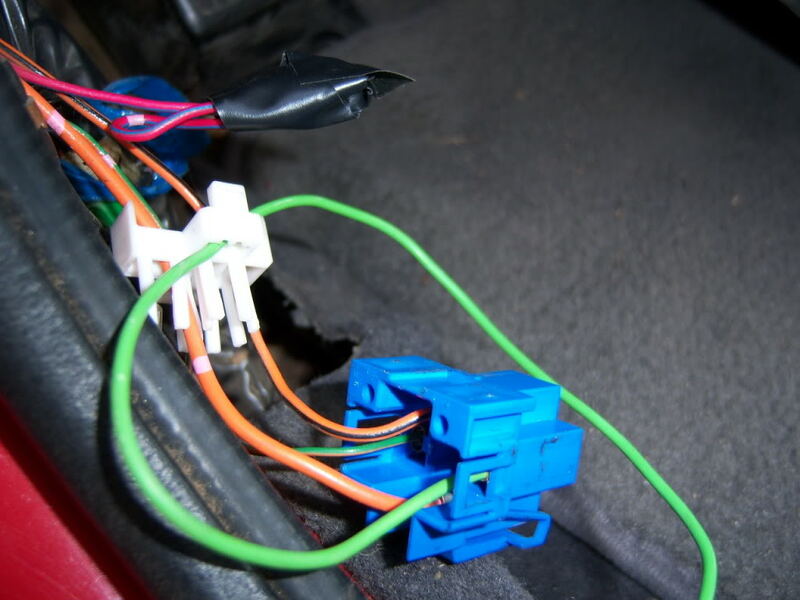 Again, this setup will allow you to use your factory fog light switch with the factory relay! 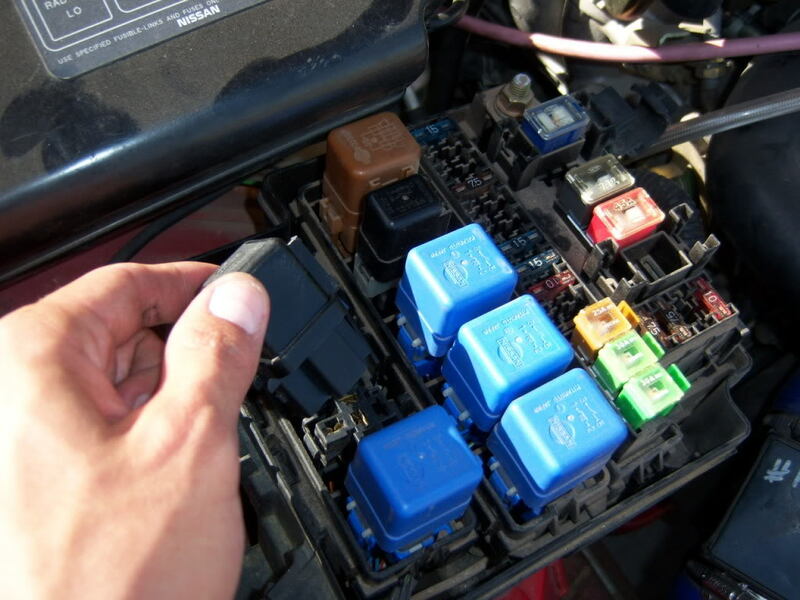 1) Find the fog light relay behind the driver’s side(left side) kick panel near the fuse box.This relay is blue. 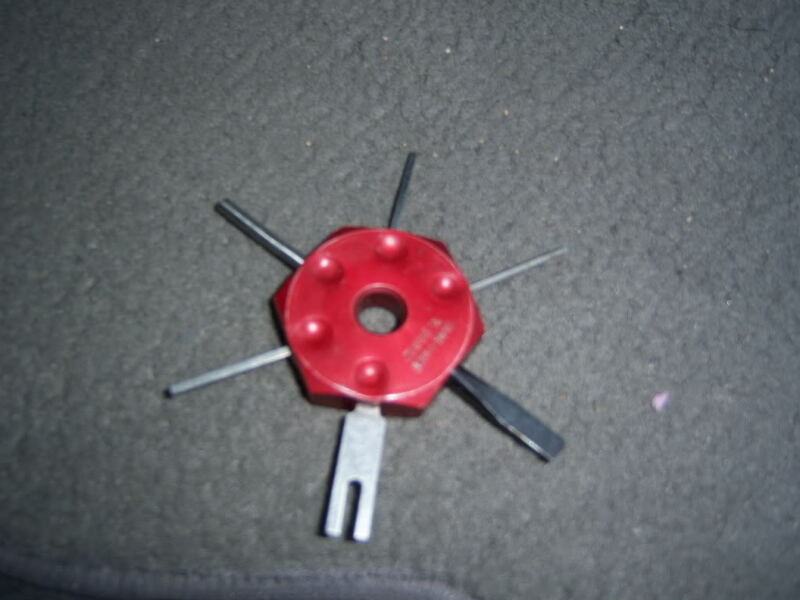 Remove this relay using a small flat blade screwdriver to pry the clip open, be careful not to break it. 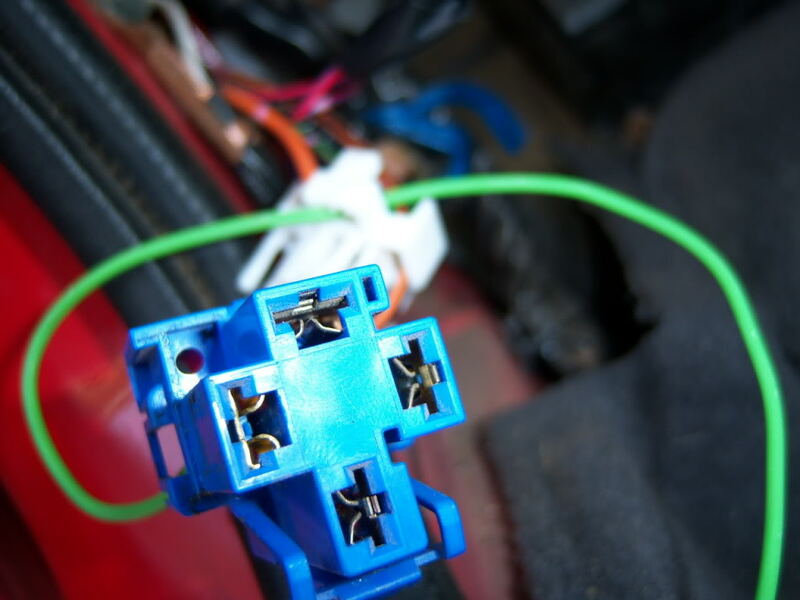 2) The red wire with the blue stripe is the wire that we want to connect a constant 12v power source to.Now it is up to your whether you want to cut this wire, or remove it from the relay socket.You can simply cut this wire then connect or solder it to constant 12v so you won’t have to deal with removing it from the relay socket.Let me warn you that removing the wire from the socket can be time consuming.I chose to remove it from the relay socket just to leave the factory fog light wire untouched. Removing the wire from the socket is a little bit harder but it’s not bad if you know what you’re doing. 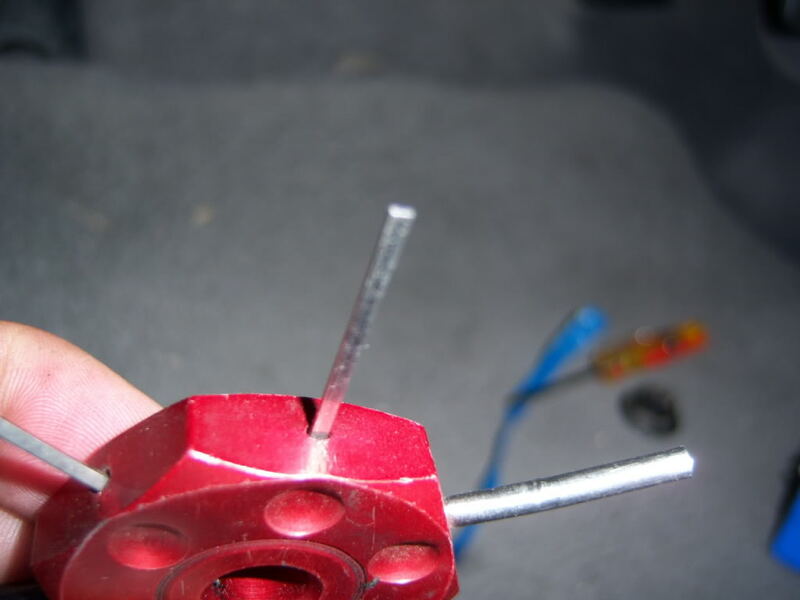 So with your small flat blade screw driver, remove the white bottom piece of the relay socket and slide it down the wires, this will make it easier to remove the wire from the socket. 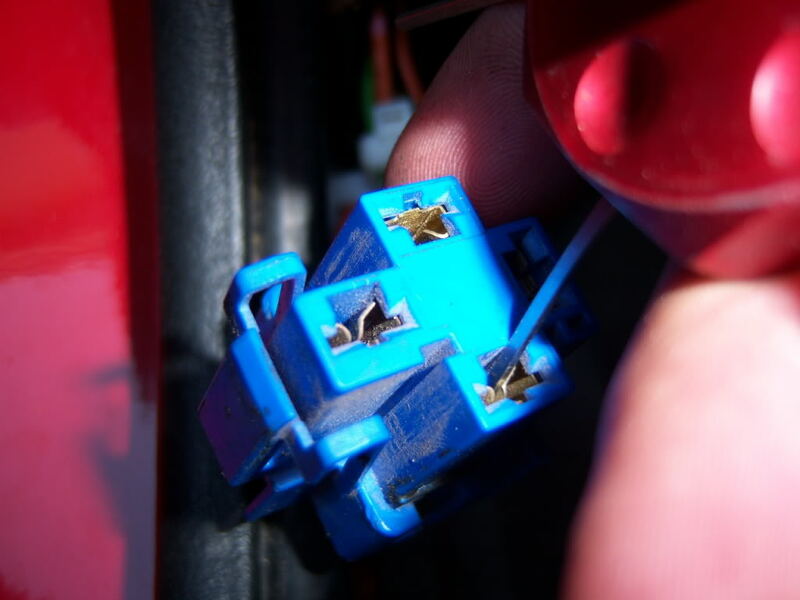 Insert the small flat blade down through the top of the relay socket and pry the small plastic clip towards the center of the socket and try to push the wire down through the socket. 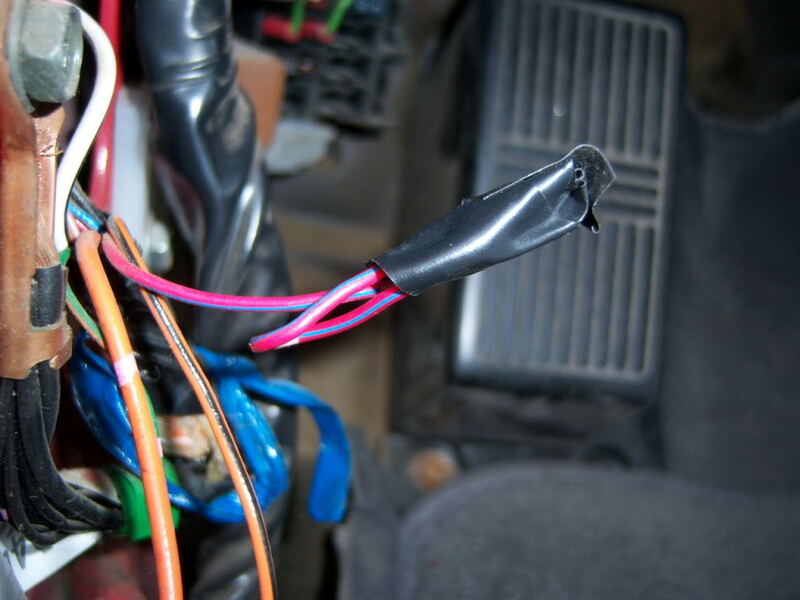 After you push the wire out, slide it out entirely out through the white plastic piece, tape the wire and put it aside. Make sure you tape it good. 3) Now get some wire and connect a female spade connector on the end of it. 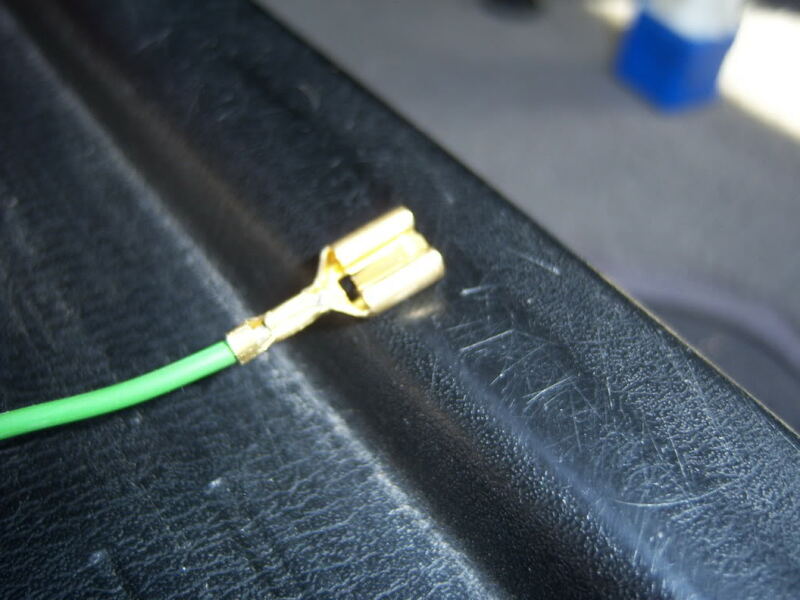 Use the wire strippers to strip the insulation back and use the needle nose to crimp the connection on. Now slide the new wire through the white plastic piece and into the relay socket itself.The female spade connector should snap in place. Now you can plug the relay back in and connect the white plastic piece to the bottom of the relay socket. 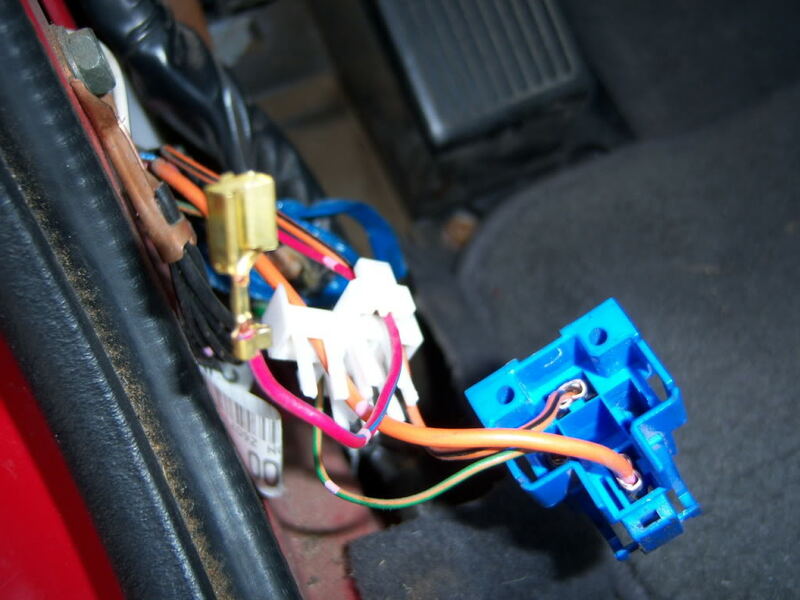 4) It is your choice where you tap into 12v power, but keep in mind that whatever source you tap into, it is a constant 12v even without the headlights being on.I tapped into some unused wires under my shift boot area.You can also tap into the cigarette light if you choose.Using a volt meter, you can find many sources of constant 12v. After you find your source of power, you will notice that you can turn your fog lights on with your OEM fog light switch regardless of the headlights being on! 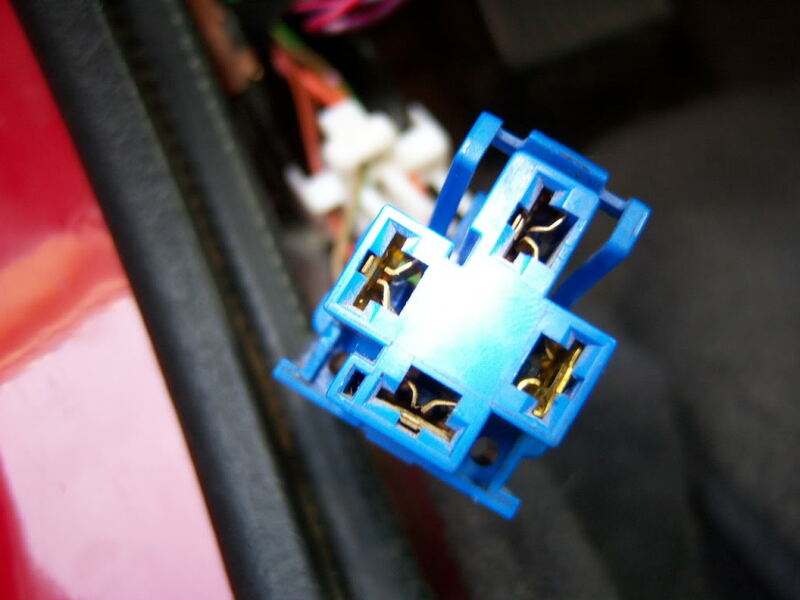 Since this setup bypasses the headlight circuit that turns off the fogs when the high beams are on, you can remove the black fog light relay in the engine bay fuse box, since it is not used anymore.